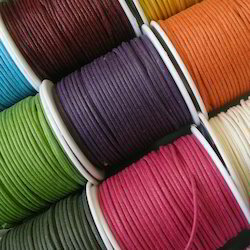 We are a leading Exporter of cotton cords in various sizes for paper bags, leather cords in various colors for jewelry makers, multicolored waxed cotton cords for paper bag handles, round leather cords for jewelry designers, waxed cotton cords for paper bag handles and waxed cotton cords in various colors from Mumbai, India. 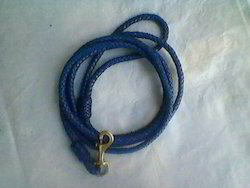 We manufacture a large range of cotton cords in various sizes for bag handles. 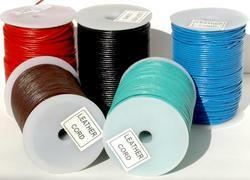 Our cotton cords are available in a wide variety of colors. 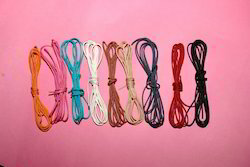 Our Waxed Cotton Cords are available In a wide variety of colors. Our Waxed Cotton Cords are available in Rolls. We manufacture a large range of Cotton Cords in Various Sizes for Bag Handles.Our Cotton Cords are available in a wide variety of Colors. Our Waxed Cotton Cords are available In Various GSm’s. 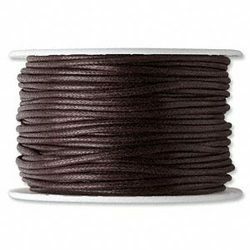 Our waxed cotton cords are available in a wide variety of colors. Our waxed cotton cords are available in rolls. 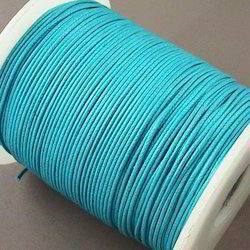 We manufacture a large range of cotton cords in various sizes for bag handles. 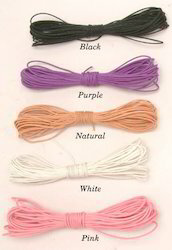 Our cotton cords are available in a wide variety of colors. 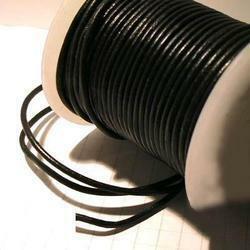 Our Waxed leather cords are used by Jewelry Makers, Worldwide. Looking for Cotton Cords ?